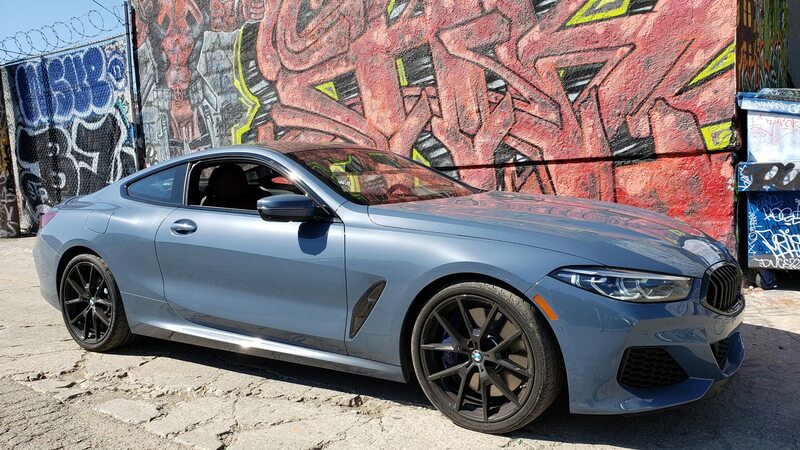 After a two-decade breather, the 8-series returns with a vengeance. 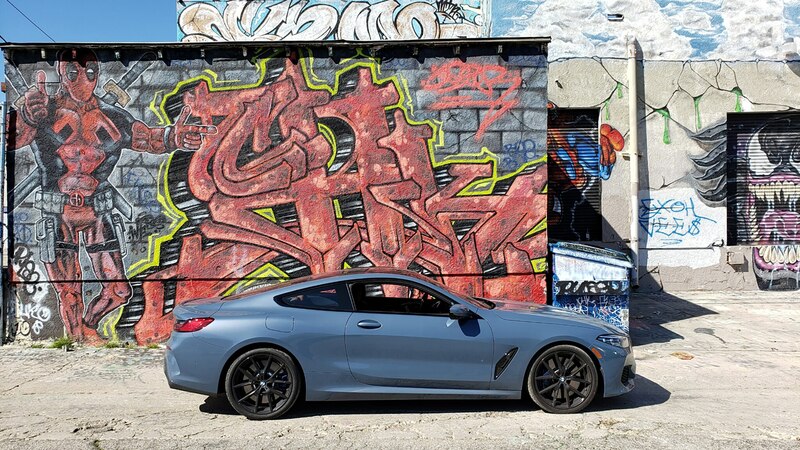 HOLLYWOOD, California—Design of the Year, check. 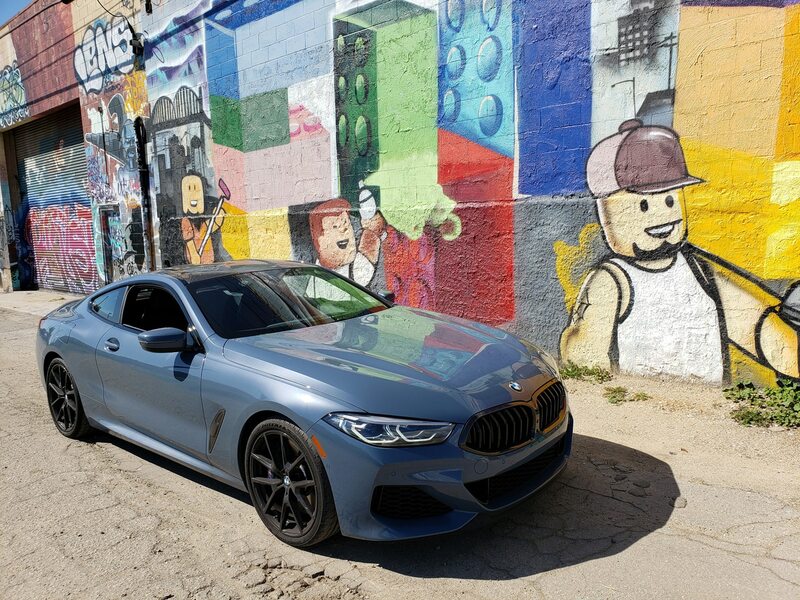 Driven on-track in Portugal, check. 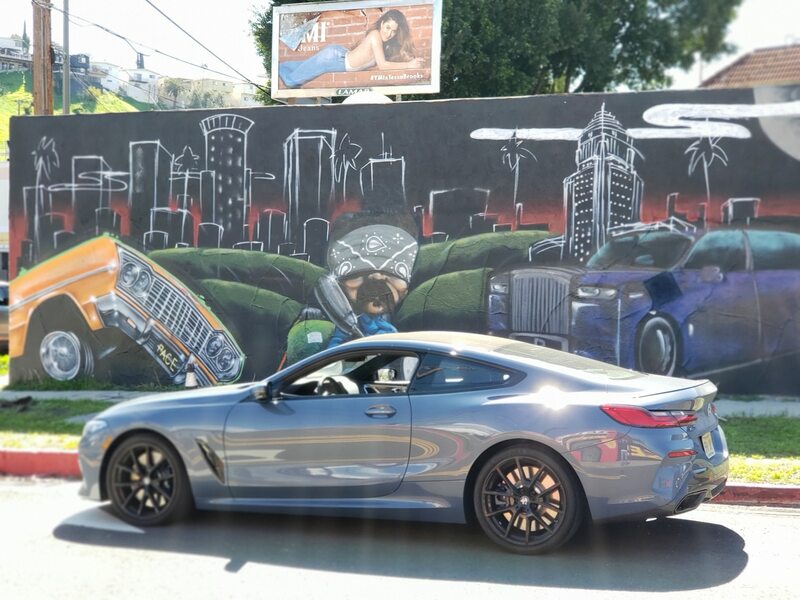 Stuck in traffic, check. 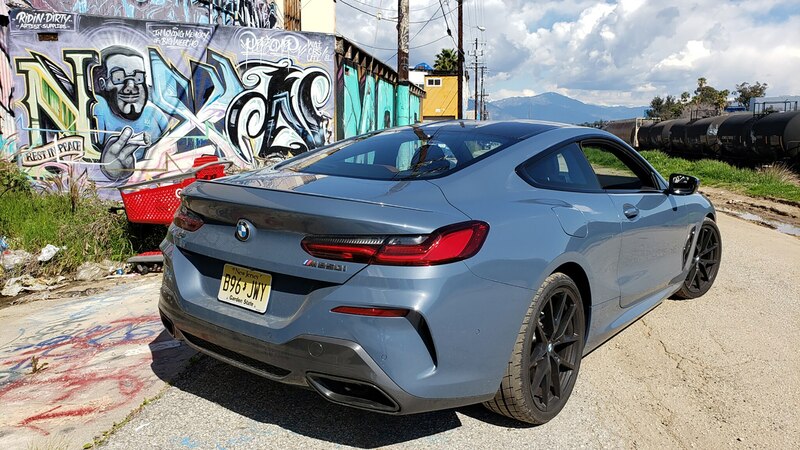 We’ve now studied the new 8-series in myriad environments, and we’re happy to report the 2019 BMW M850i xDrive is one hell of a coupe, marking a triumphant return of the 8 Series nameplate after more than 20 years. 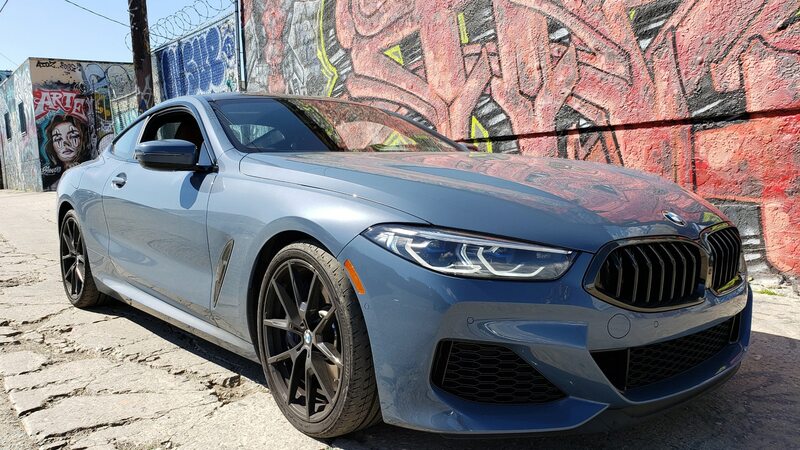 The sleek two-door feels spry, sporty, and vigorous on the open road, and around town it fits like a well-tailored suit. 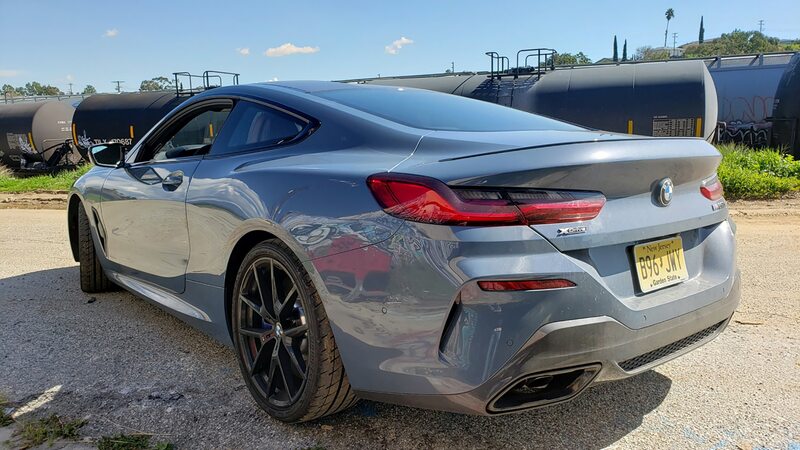 And it cuts a mean profile practically anywhere. 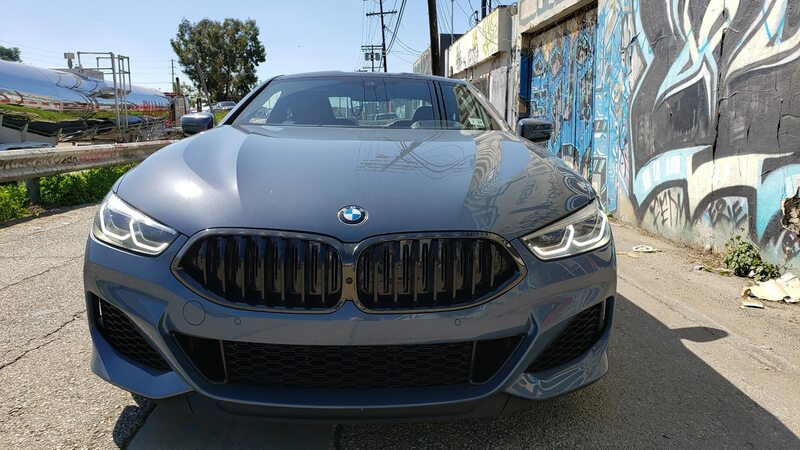 Its blacked-out twin-kidney grille is just the right size, its clamshell hood is as wide as Sunset Boulevard, and the laser-beam headlights shine brighter than any starlet. 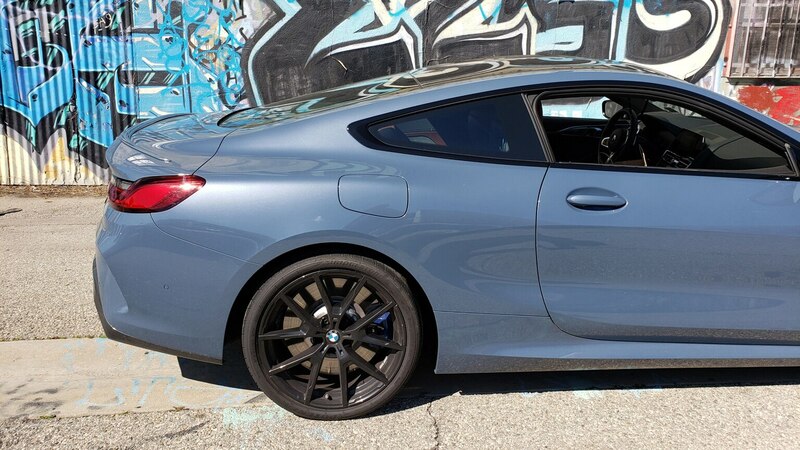 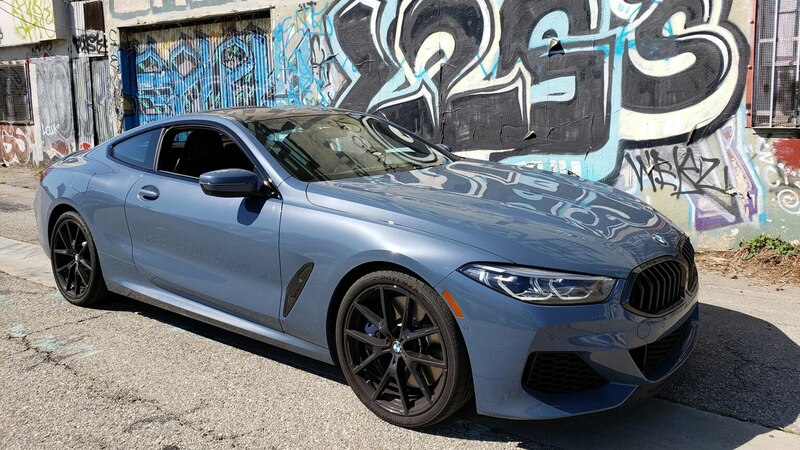 Our test example wore a coat of Barcelona Blue paint complemented with dark wheels, as well as a set of blue M-branded front calipers that pinch absolutely massive rotors—key in decelerating a 4,478-pound rocket from speed. 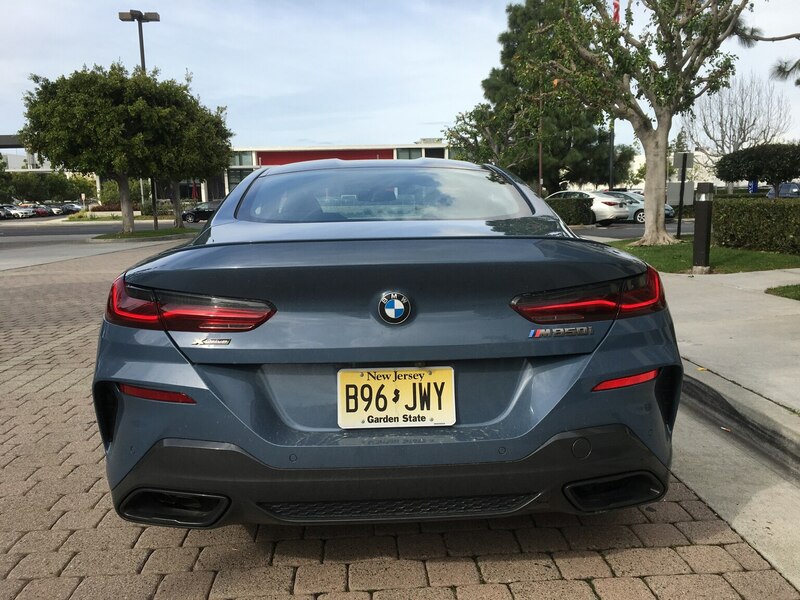 You may be surprised to learn, however, that that weight figure makes the new car only about eight percent heavier than the old model. 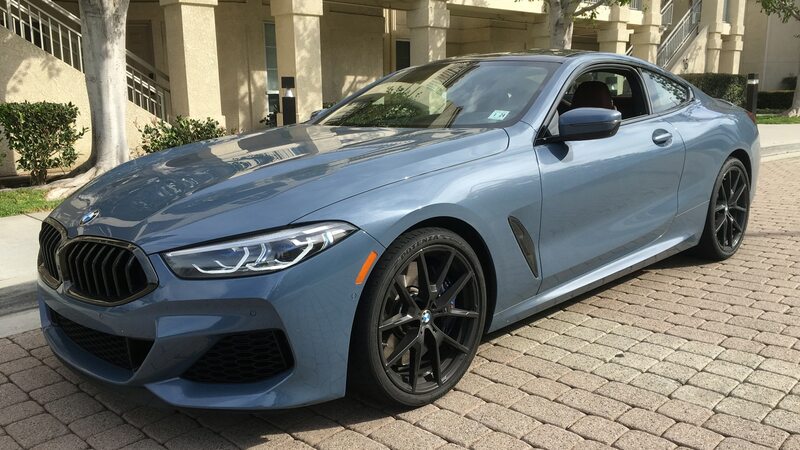 Instead of the original 850i’s V-12, the M850i packs a 4.4-liter twin-turbo V-8 engine shared with the M550i sedan but tuned here for 523 horsepower and 553 lb-ft of torque—quite a hike over the four-door’s 456 horses and 480 lb-ft. As in the sedan, the V-8 is mated to an eight-speed automatic transmission and standard all-wheel drive. 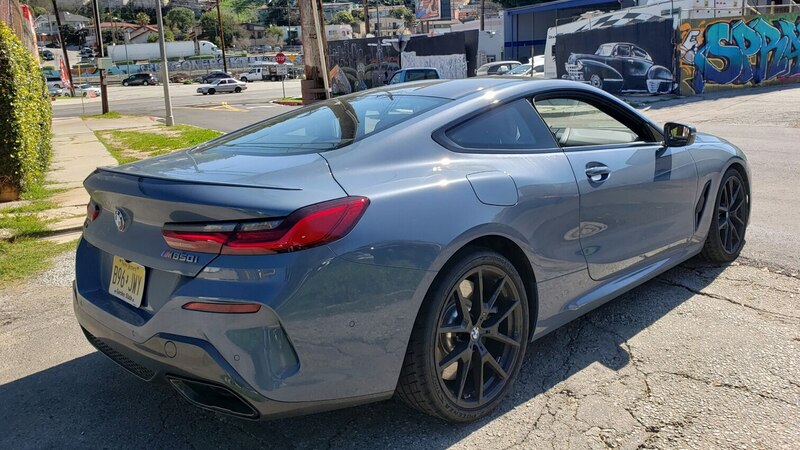 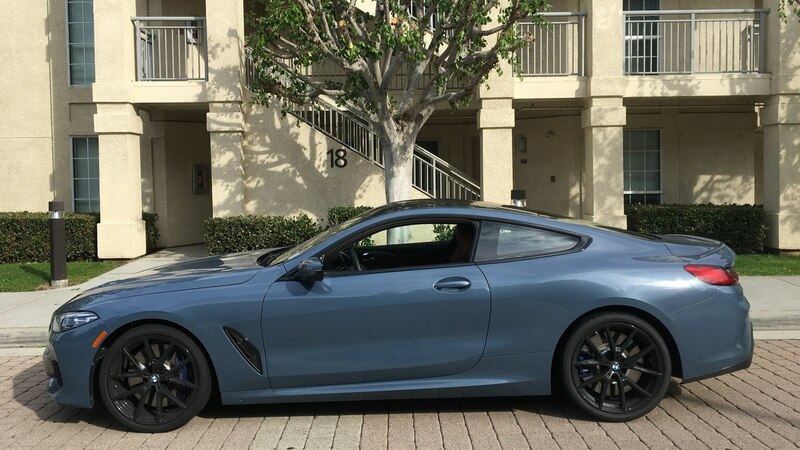 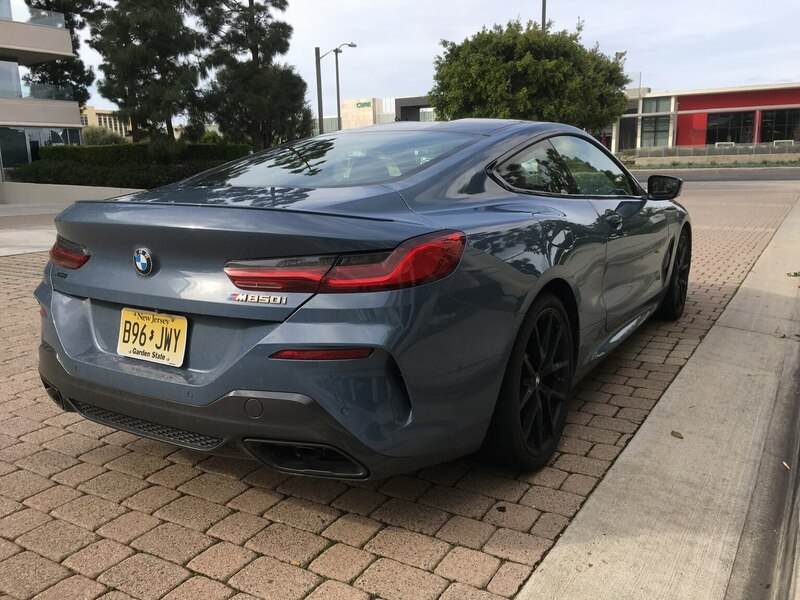 The latter apportions its power with a bias toward the rear axle, and the M850i also has four-wheel steering to help maneuverability at speeds below 45 mph in Comfort mode and 55 mph in Sport mode and improve stability above those velocities. 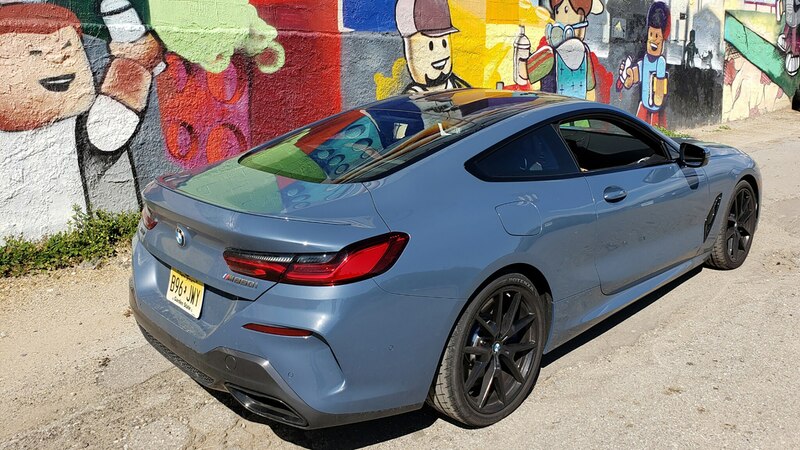 It works fabulously in practice, with the 8 imparting an almost eerie sense of steadiness in corners, where it hugs the road like a Hoover on a red carpet. 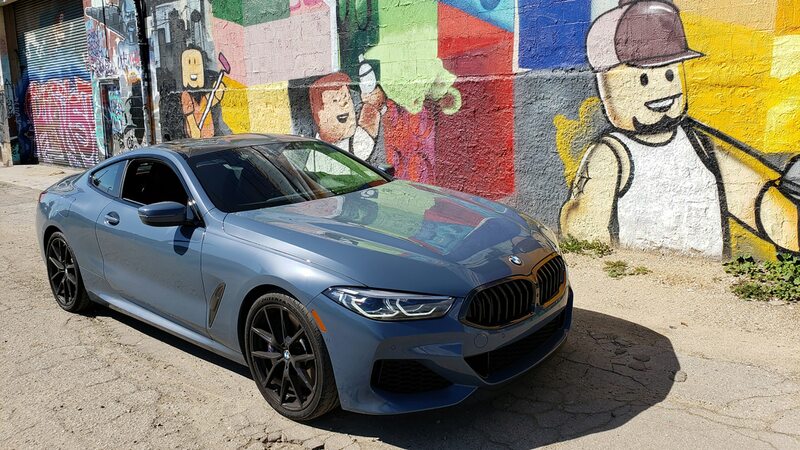 The new M850i can slay all types of asphalt and excels in all sorts of driving conditions—torrential rainstorms or icy mountain roads, dry and twisting canyon two-lanes, and even bumper-to-bumper traffic. 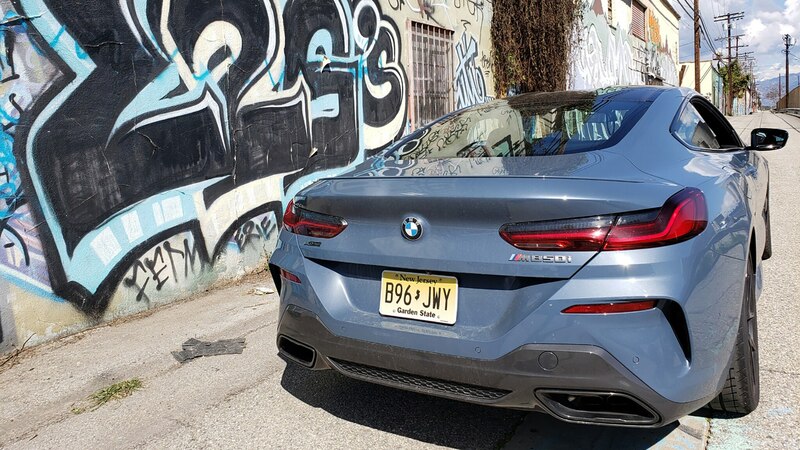 It jets off the line and on to 60 mph in a blistering 3.6 seconds, and every staffer who slid behind the wheel of the M850i was smitten with a car universally characterized as a smooth, incredible, and great all-rounder. 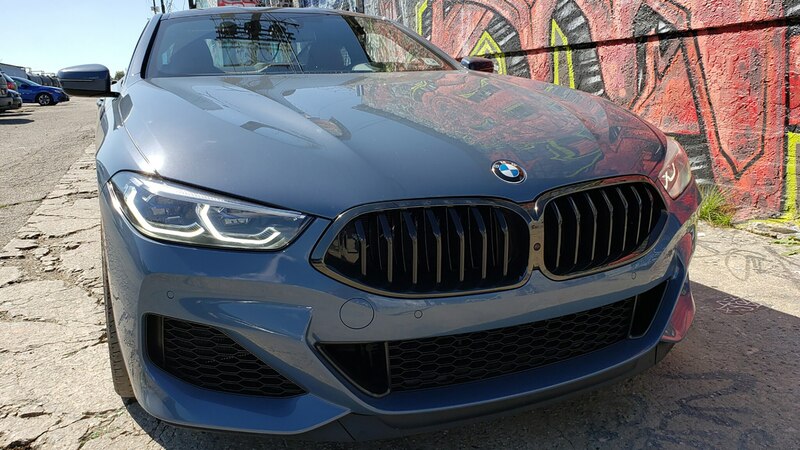 The drive modes includes Sport, Sport +, Eco Pro, and Comfort, with Sport+ naturally being the most engaging, turning the BMW from a sporty and rewarding grand tourer to a crackling, snarling beast, eager to pounce at every apex. 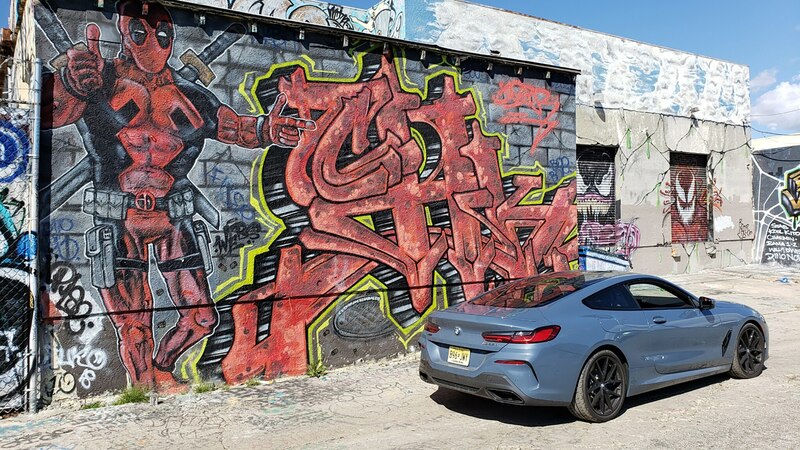 Despite its size, as with most coupes, the 8’s rear seats are best left to luggage duty, offering up just 29.5 inches of legroom and 33.6 inches of headroom. 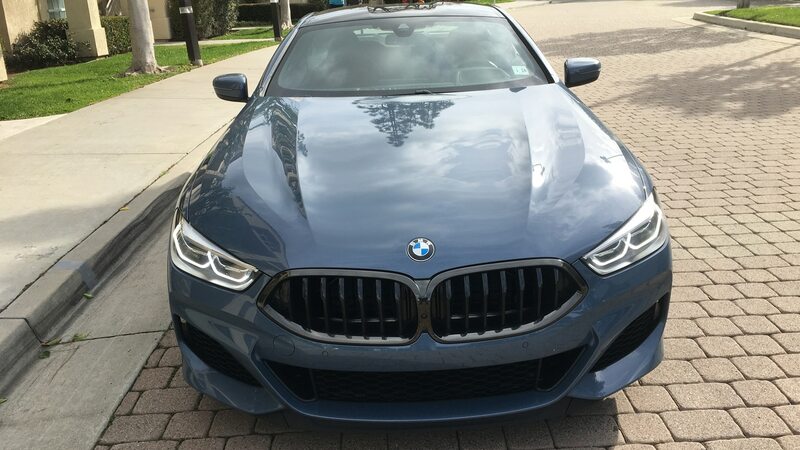 But used for cargo and combined with a deep trunk that can swallow up to 15 cubic feet of additional loot, the 8-series can accommodate plenty of stuff for two people to enjoy the type of extended trip this car was made for. 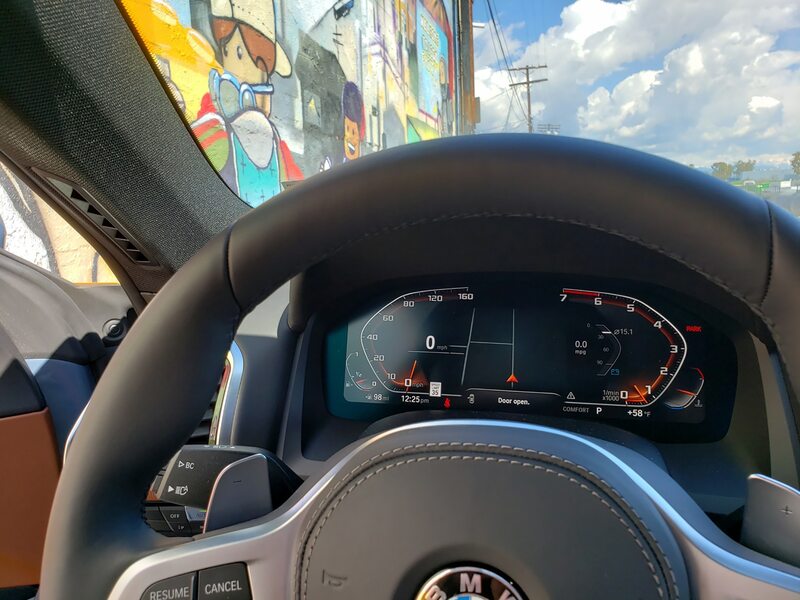 Inside, the gauge cluster is fully digital; it’s a high-resolution affair and easy to read, although we will admit that the usability and overall presentation of functions such as navigation in the cluster is better executed in some VW Group vehicles. 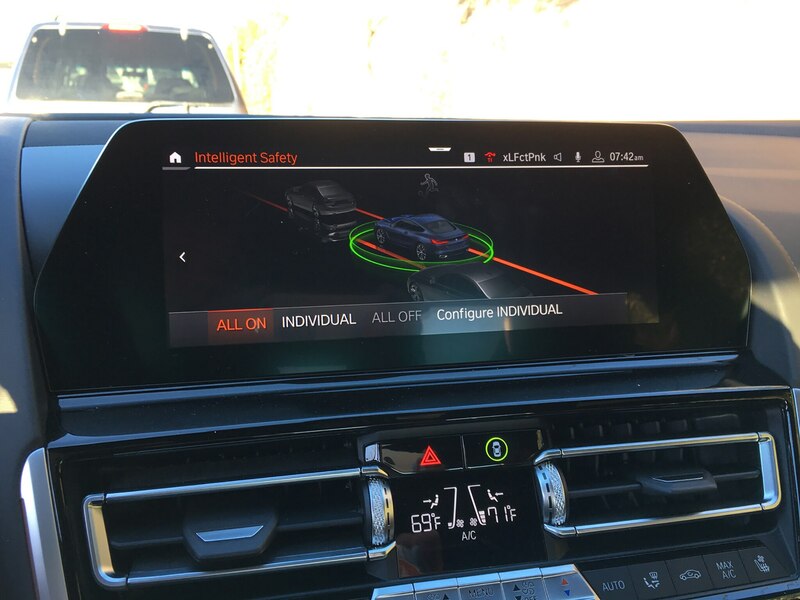 We were pleased that the cockpit offers myriad methods to control the ample technology inside, including the iDrive controller, the 10.3-inch central touchscreen, your voice, and, blessedly, plenty of hard buttons and switches. 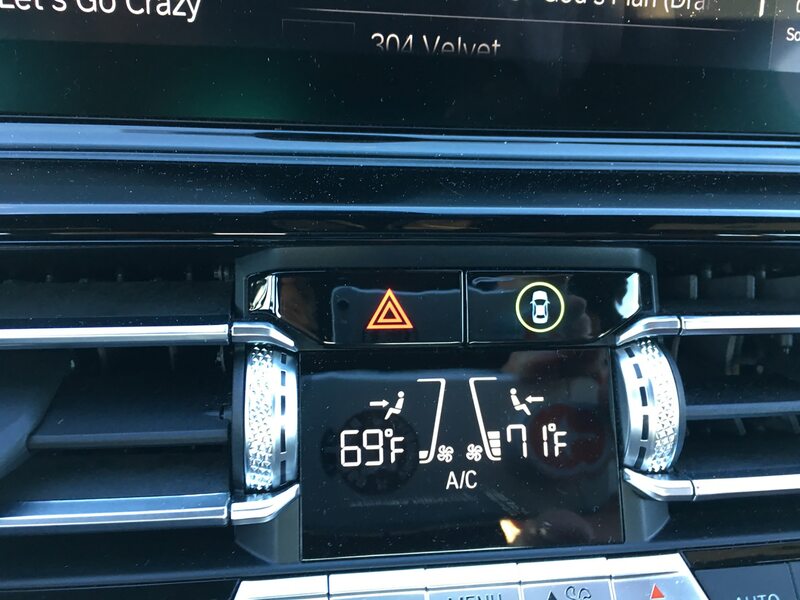 There’s even a handy button to activate the steering-wheel heating element located—get this—on the steering wheel. 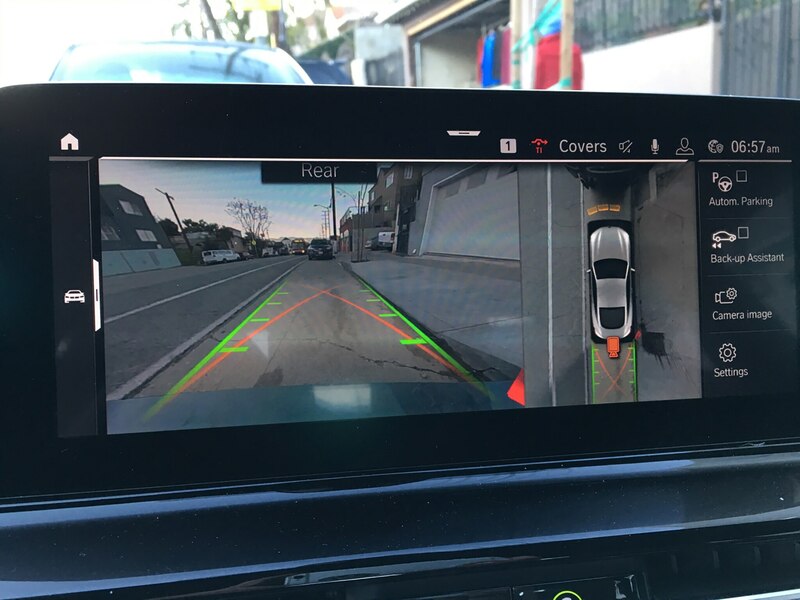 Among the tech you’ll find automatic parking, a plethora of cameras for backing up and viewing all sorts of angles, and BMW’s Intelligent Safety suite of features. 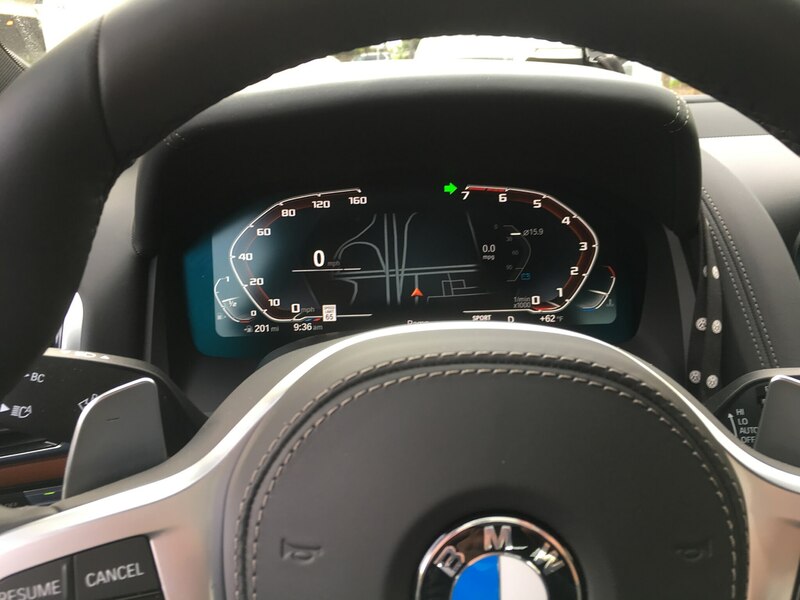 These are controlled and quickly accessed using a button in the center of the dash that displays a green circle when the “force field” of safety systems are all engaged. 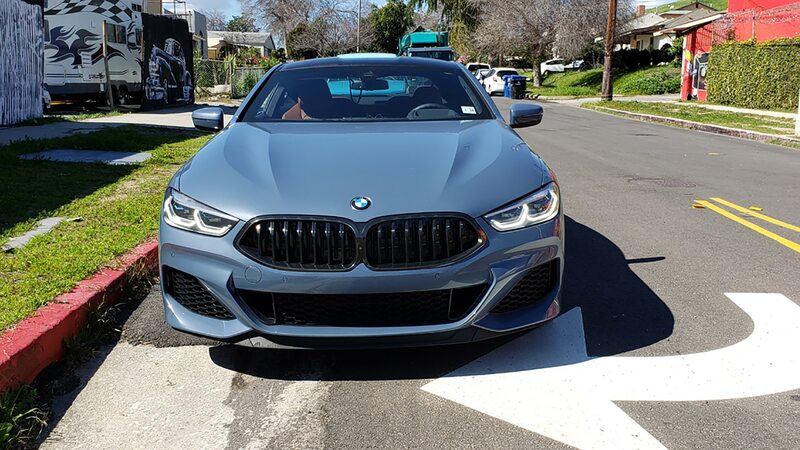 It’s all fairly transparent, save for the lane-keep assist function, which works quite aggressively to keep you from straying over a line. 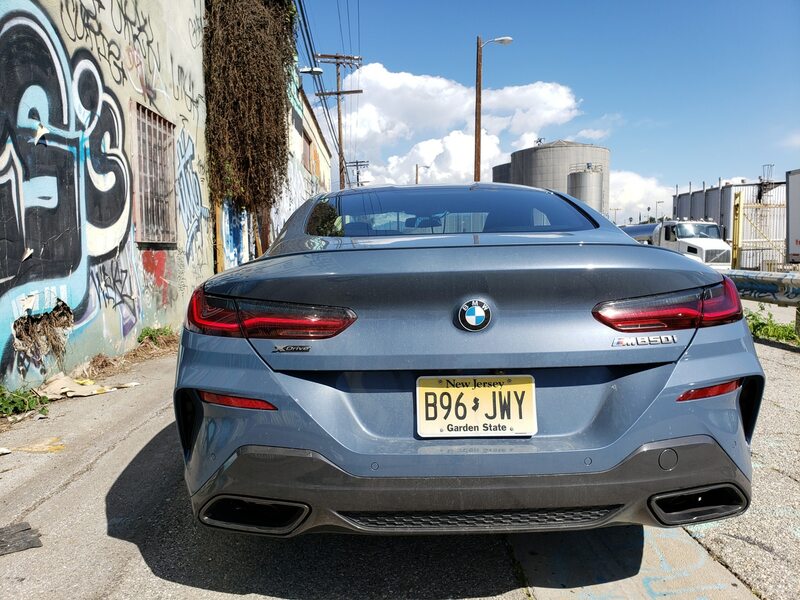 Get near a lane marking and the car will fight you like an arm wrestler, requiring more than a little muscle to override; it’s also among the most overeager to activate we’ve seen. 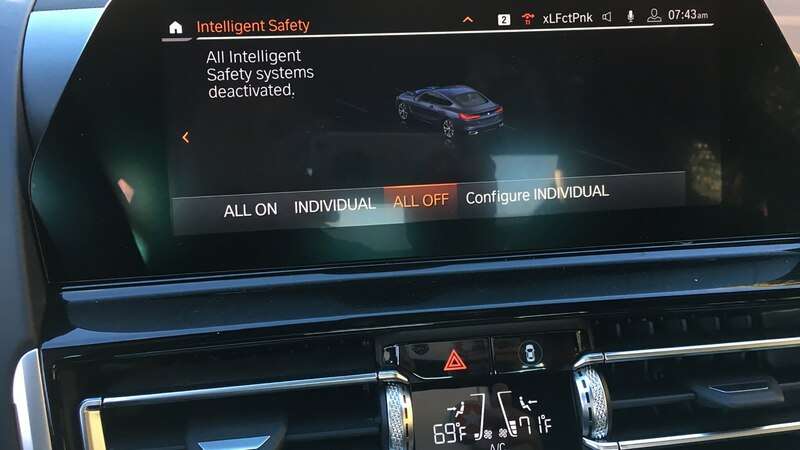 Thankfully, the Intelligent Safety systems can be configured individually to your liking, or you can simply turn them all off by holding the button down for three seconds. 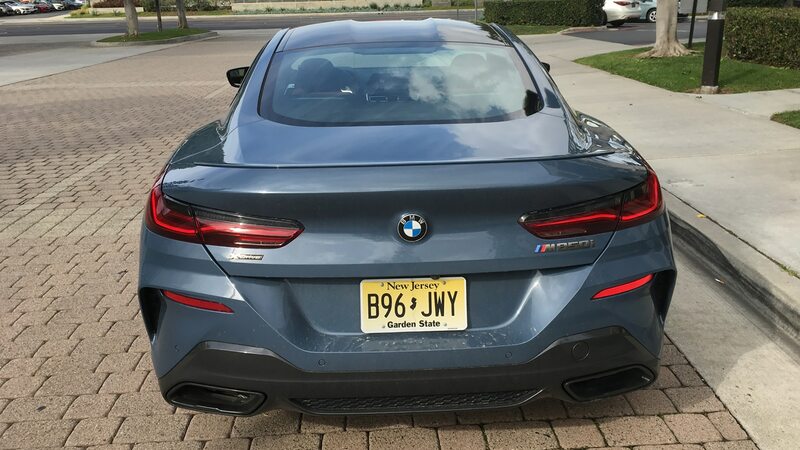 It defaults back to “All On” when you cycle the ignition, though. 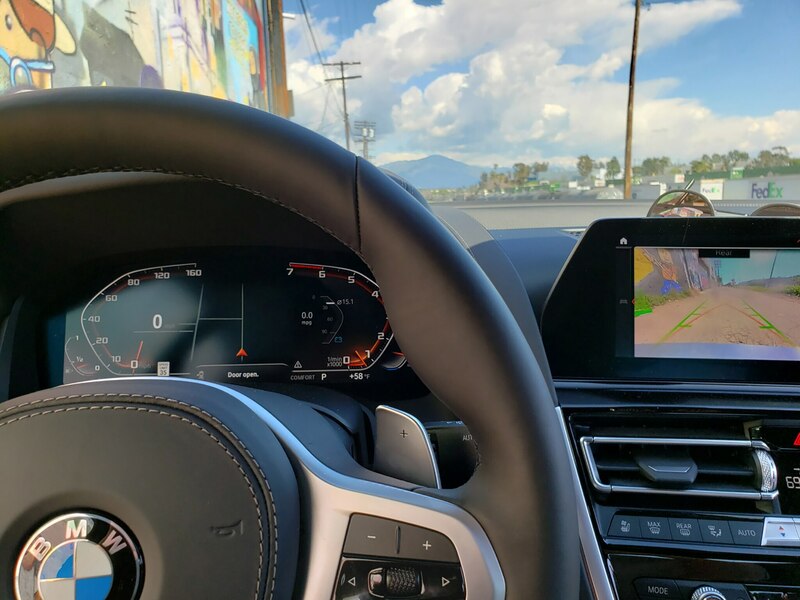 As in other BMWs equipped with gesture controls, they come across as little more than gimmicks here—for example, there’s virtually no difference in terms of motion between twirling your finger or using the knob to adjust the audio system’s volume, and the knob has the distinct advantage of working every time. 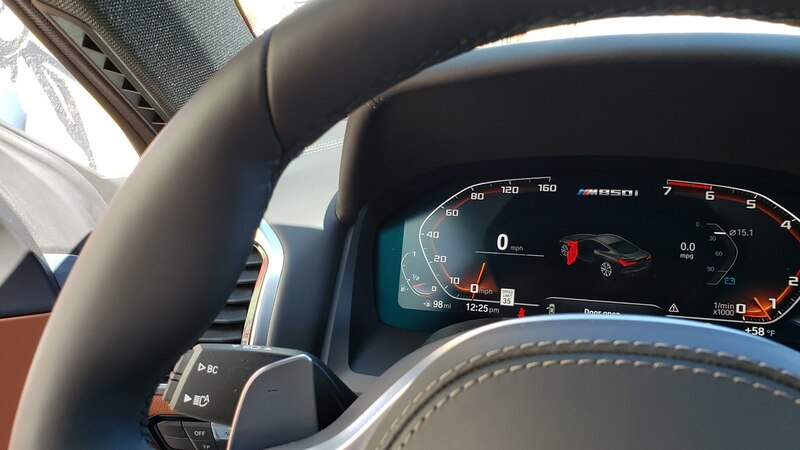 One feature we did actually find neat was the ability to take phone calls with the wave of a hand once you’ve paired your phone to the car. 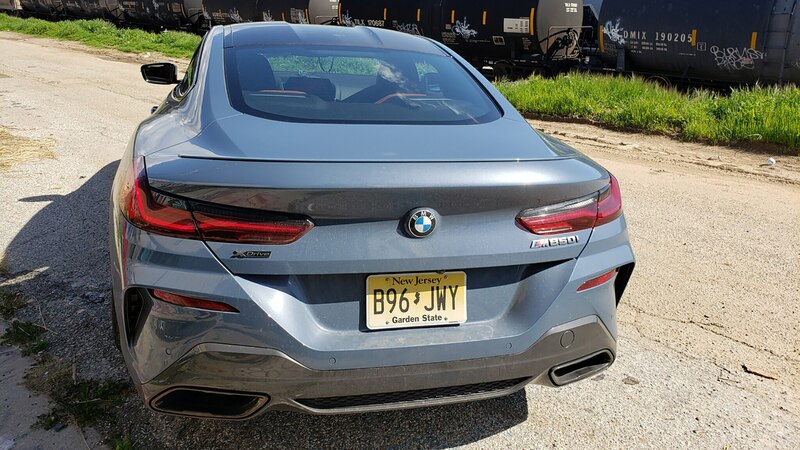 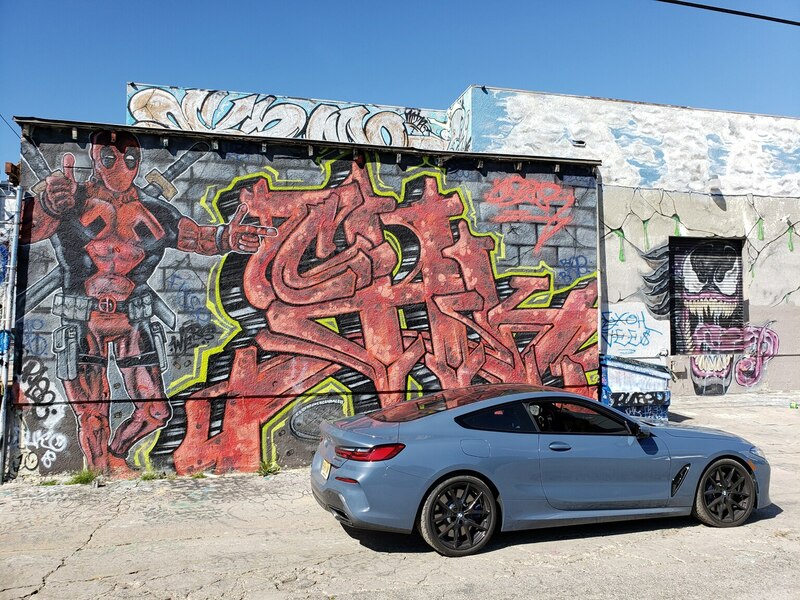 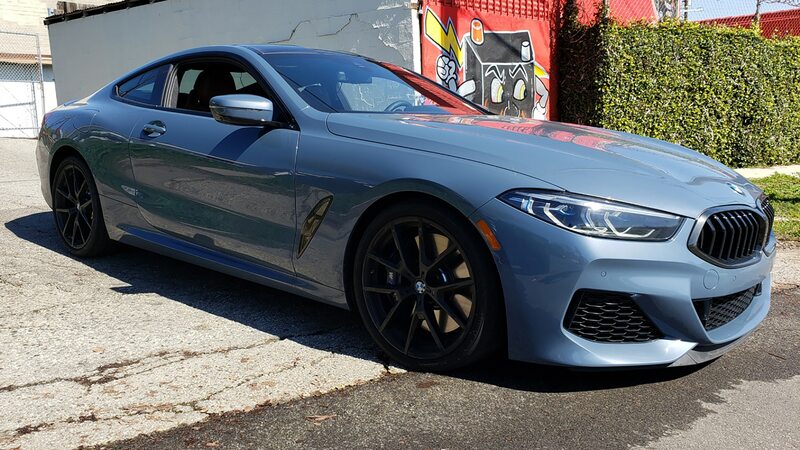 In all, the M850i is an incredibly impressive piece, and it’s hard not to be intoxicated with its huge power, highly capable chassis, and surprising grace. 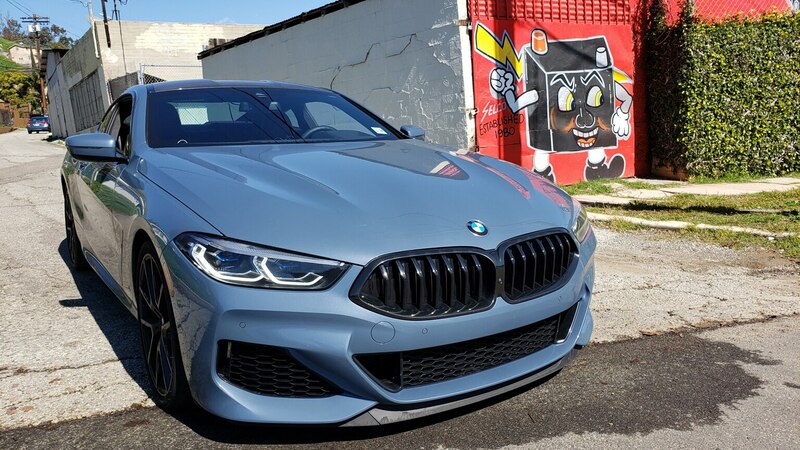 While it’s plenty satisfying on its own, the 8 Series family will include plenty of variants, including a convertible, a four-door Gran Coupe, and the big daddy, the M8. 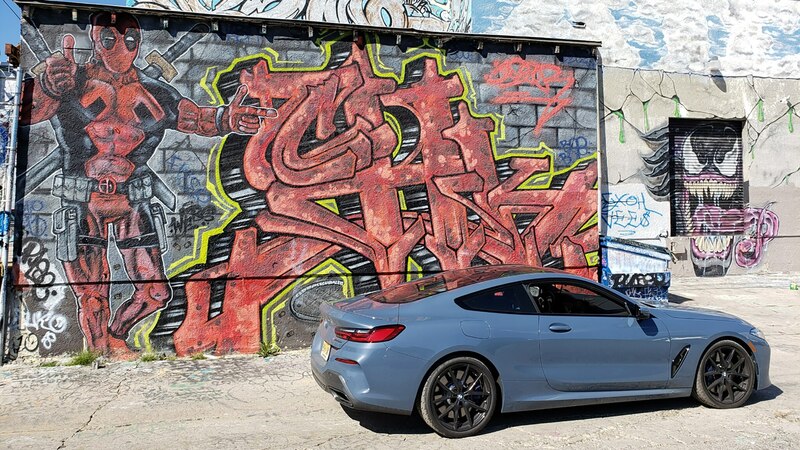 But whether you stick with the coupe or try another version, you’ll be the star wherever you show up. 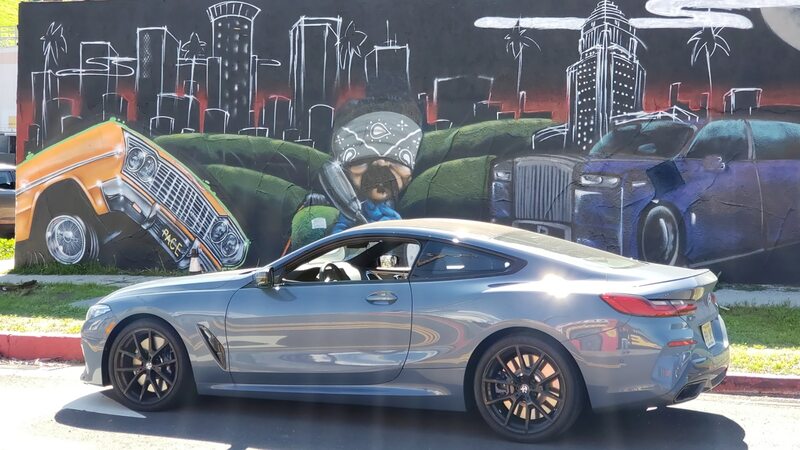 The limited-edition Montblanc set includes guitar and surf bags.